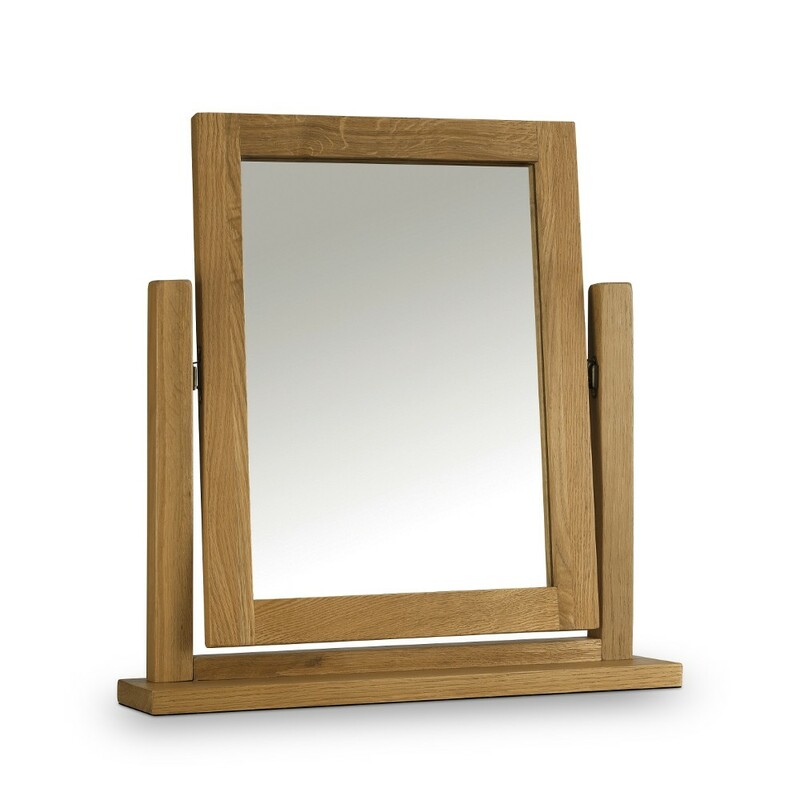 The Marlborough Oak Dressing Table Mirror is the perfect addition to any room. It matches all the marlborough oak furniture. The solid oak construction looks great and is strong and durable. The waxed oak finish gives a great look that will match many bedrooms. This item is breakable please be careful when moving and unpackaging. Keep it away from the edge of the drawers or dressing table to stop it from falling off and breaking. The Marlborough Oak Dressing Table Mirror is part of the Marlborough Oak Wooden Bedroom Furniture Collection.